While some end their adventure and new guests join later in the day, you spend the day off the boat. 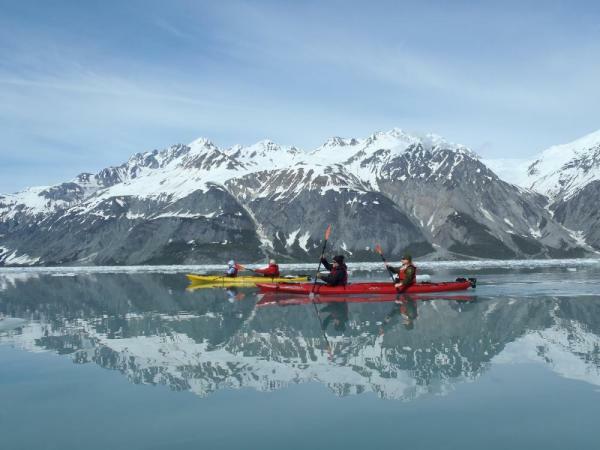 Local guides swoop you away on an expedition in Juneau’s mountains and wilderness. 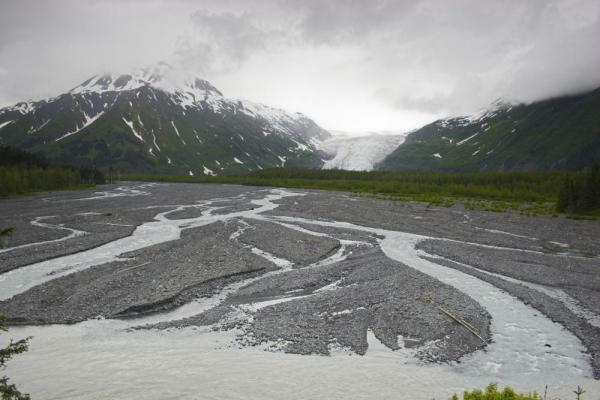 It’s a short drive to the glacial playground of the day—Mendenhall Lake*. Push off from shore and paddle among icebergs, temperate rainforest, and glittering Nugget Falls. 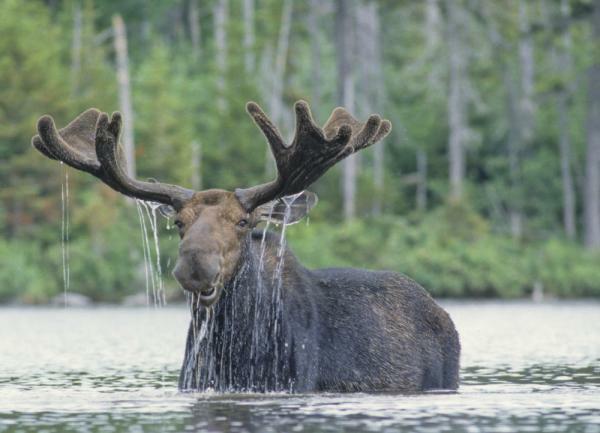 Mountain goats, black bears, river otters, beavers, and eagles are likely spectators along shore. 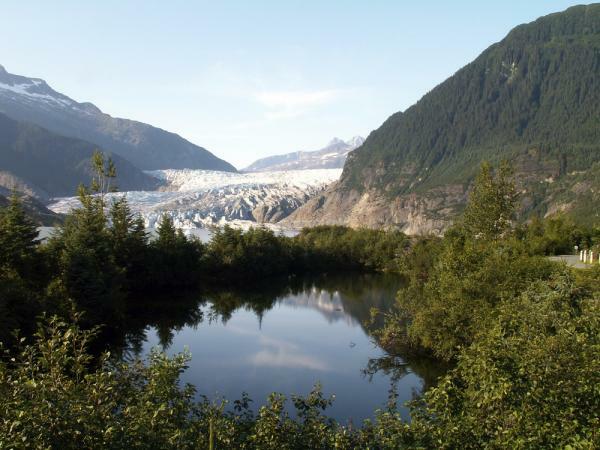 Land on the beach near Mendenhall Glacier and trade your paddle for trekking poles. 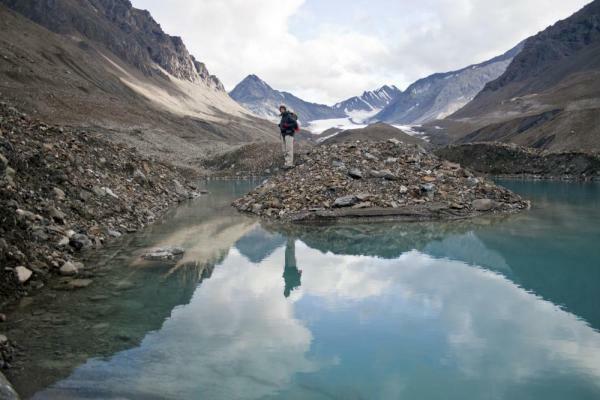 Ice is nice on a hike to the edge of the glacier—with a fascinating natural history lesson along the way. Lunch is included, too. Return to the canoes. It’s a familiar, and equally beautiful, paddle back across the lake. Complimentary laundry service is provided today. Queen or twin beds, view window, and private bath with shower. Sitting area, refrigerator, fixed queen bed, large picture window, and private bath with shower.